Keyway cutting or keyway machining is something we are often asked to do. Keyways have to be accurately sized and positioned. External keyways can be machined on the mill if the shaft hasn’t been hardened but having a couple of spark erosion machines allows us to cut difficult shapes even into hardened materials. We can cut internal or external keyways and woodruff key slots. 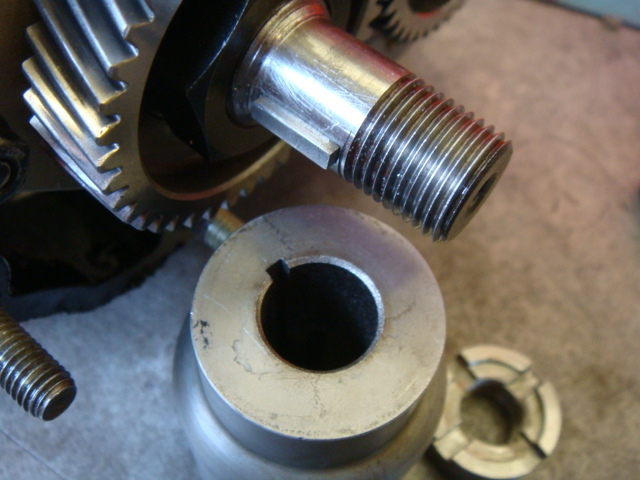 We can often repair a damaged or worn shaft keyway. We can replace missing material with weld and recut the keyway to the original size or we can oversize the keyways and make a custom sized new key. 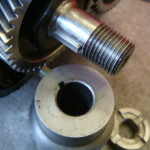 This image shows the drive wheel from a supercharger that needed a keyway cutting through the centre hole to match the existing keyed shaft. After properly measuring everything we made an electrode and carefully cut the required slot – exactly in the middle! The customer was delighted.